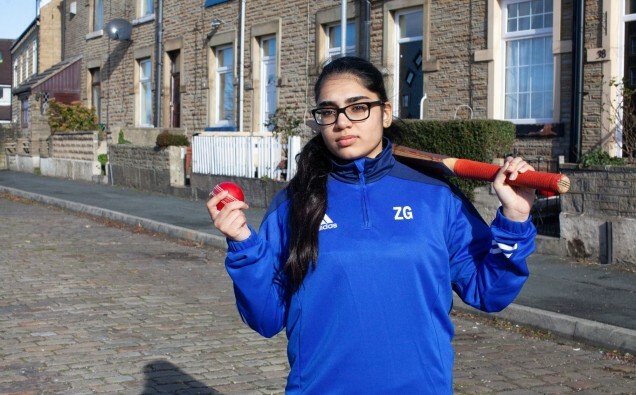 Bats, Balls and Bradford Girls follows the first British all-Asian girls’ cricket team over the 2018 summer holidays as they train for their last ever tournament together. Filming for the programme took place in collaboration with AsianWorldNews, who worked alongside the BBC in the production of Bats, Balls and Bradford Girls as Media Partners. The team started at a school in Bradford four years ago when the girls’ only experience of cricket was their dads and brothers watching it on the TV. In spite of this, they took to the sport like naturals and began winning most of the tournaments they entered. Earlier this year the girls took a break from cricket to focus on their GCSE exams. Now it’s the summer holidays and they have all left school. After the summer they will all go their separate ways, to different colleges. Under the guidance of a new coach, they are back on the field to train for their last tournament together. The team are very unusual in the world of girls’ cricket and it hasn’t been an easy ride. They have faced a backlash from some of the local Pakistani community, some of the girls now have jobs, and some of their parents don’t want their daughters staying out late to train. Working together as a team to overcome obstacles from all directions has really brought the girls closer together. For some, the cricket pitch is the only place where they feel like they can be their true selves. The tournament will be held at the legendary Headingley cricket stadium in Leeds and the girls will be playing some of the best girls’ teams in Yorkshire. It is their final chance to prove themselves as Yorkshire girls’ champions and they want to go out with a bang. But now that school is over, will the team stay united to play their final tournament? Zainab (pictured) narrates the film and is the team’s star bowler. She is a high achiever and is predicted top marks in her GCSEs. Her dad, Sajid, doesn’t like Zainab leaving the house without a chaperone, so she is struggling to get to the training sessions. Hanfia is the dark horse of the team. Always wearing all black hoodies and ripped jeans, the others tease her for being a goth or emo. She used to get into a lot of trouble in school leading to her getting kicked out and only came back to play cricket. Hanfia is looking forward to going to Art College in Leeds in September. Jasmin was born in a refugee camp in Bangladesh just after her father died. Tragically her mother was in a car accident four years ago, leaving her partially paralysed – Jasmin works as one of her mum’s carers. Jasmin is a natural athlete and was scouted for a football scholarship at one of the best schools in America. But her duty to her family and looking after her mum meant she turned it down. Mariyah, Sawiyyah, Zaira and Sabeha make up the rest of the team. Hami is the team coach who hopes to lead the girls to victory. British Muslim Women Love Valentines!